Earlier this year, Rosa Ortega, a permanent US resident from Fort Worth Texas was sentenced to 8 years in prison, a $5,000 fine, and faces deportation to Mexico. For what? Illegal voting, voter fraud. Current laws state that you must be a citizen to cast a ballot in national, state, or local elections. Rosa violated this law when she checked that she was a citizen on her Tarrant County voter’s application, thus committing fraud. Margarita Del Pilar Fitzpatrick, of Illinois, is also currently facing deportation to Peru for voting illegally in two U.S. elections. In her 2007 Citizenship application, Margarita freely admitted to voting. Both women are out on appeal, after serving one month, and one day, respectively. During the 2016 Presidential election, then candidate Donald Trump alleged that there were millions of illegal voters such as Rosa Ortega and Margarita Del Pilar Fitzpatrick. Are there millions of illegal voters and what is the cause of these unfortunate situations? Although the allegations were broadcast loudly, there is no evidence or data to support the claim millions of illegal voters exist. So how do these situations transpire? The biggest reason is because of confusion. Although the form states: I am a citizen of the Unites States, and the applicant must check yes or no, some Green Card holders are still uncertain of the response they should give. This is what happened to Margarita. When she went to the DMV to apply for a Driver’s License, the clerk asked her if she wanted to register to vote. Confused, as to whether or not she could, she asked the clerk for advice. However, the National Voter Registration Act of 1993 is very specific in prohibiting DMV clerks from making statements or taking action to discourage a person from registering to vote. In other cases, the confusion comes from voting several times with no consequences. Without consequences, how is the person to know they are wrong? This is what happened in the case of Rosa. She voted in two elections after being mailed a voter registration card. In fact, it was not until she relocated to another county, registered to vote, and voted in a third election, that her problems started. Despite the confusion, the bottom line is that you cannot vote unless you are United States Citizen. If you are not, do not vote. 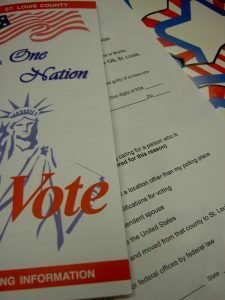 Voting when you are not allowed to can impact your citizenship application and may result in deportation due to fraud. What should you do if you are in a situation like Rosa or Margarita? Were you raised in Yonkers, NY and living here is the only life you know? Have you built a life in Westchester County that you could have only dreamed of in your home country? If so, do not face this situation alone. Let The Claro Law Firm help you with your immigration needs. We are on your side. The Claro Law Firm’s best immigration lawyers can help you achieve your American Dream. You have traveled so far and are so close to achieving your dream – let us help you get peace of mind. The best immigration attorneys will help you. Act now! The Claro Law Firm services Westchester County including Rye, Port Chester and Valhalla. Call The Claro Law Firm today at 917-300-3334 or visit us online to talk to a knowledgeable immigration attorney. Se Habla Español.